The Scottish Fishermen’s Federation (SFF) scooped a prestigious Scottish Green Energy Award for its work in enabling the fishing fleet to diversify into the offshore wind sector. This was achieved through the adaptation of support services originally developed for the oil & gas industry for use in the offshore wind sector. Aided by SDS, this included the upskilling and training of fishermen to participate in such work. 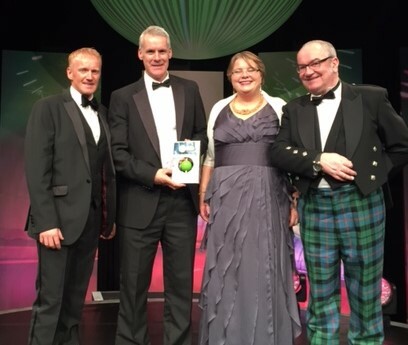 The winners of the Scottish Renewables Scottish Green Energy Awards were announced at a glittering event at the Edinburgh International Conference Centre last night (1 December 2016).